the Alien Girls. 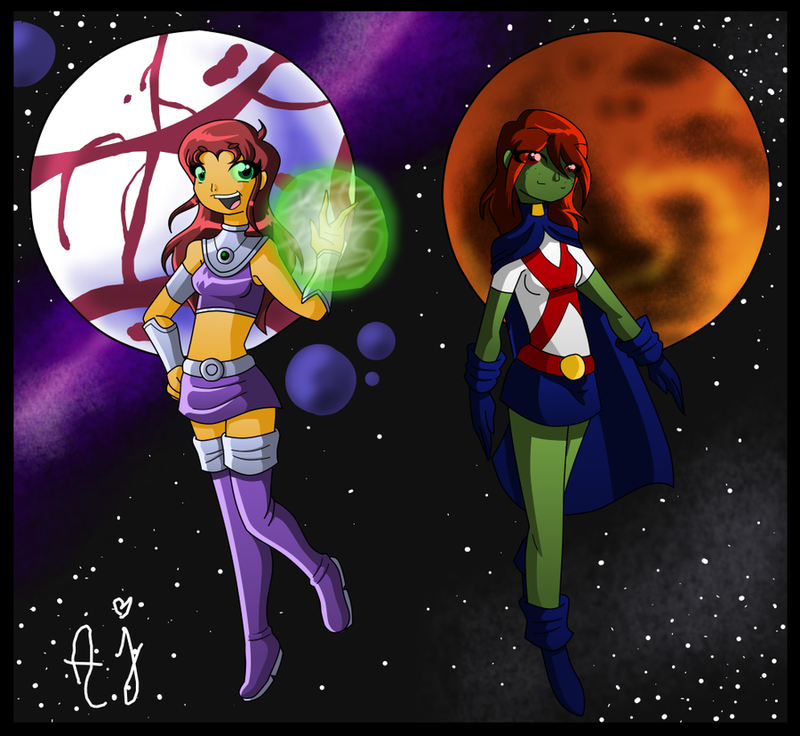 Miss Martian from Young Justice and Strafire from teen titans are the awsomest alien girls ever. 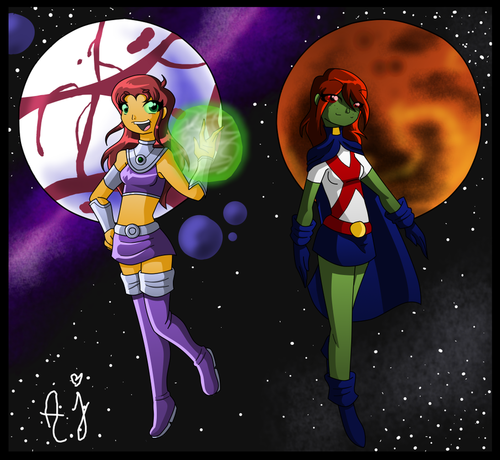 HD Wallpaper and background images in the ヤング・ジャスティス club tagged: young justice miss martian teen titans strafire aliens.